Making a great beer requires a combination of art and science. Science, in knowing what the gear and ingredients can do. Art, in imagining what beer can be. 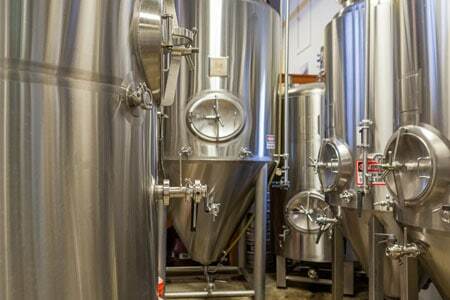 Whether it’s excellent versions of classic styles, or boundary pushing experimental brews, Bainbridge Brewing blends the art and science of beer. Craft beer is also a social beverage and the Taproom and Alehouse are part of our culture here in the Northwest. The local brewery is part of the fabric of the community, giving it character, individuality, and indeed, an air of hometown pride. 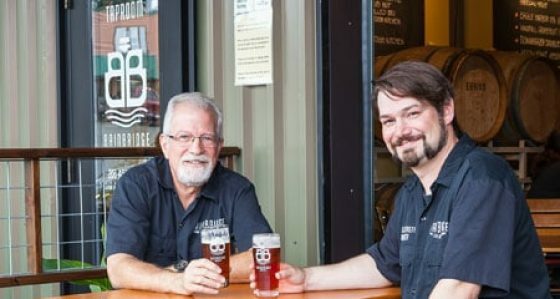 Bainbridge Brewing is the island’s brewery, and the island is as much a part of us as we are of it. 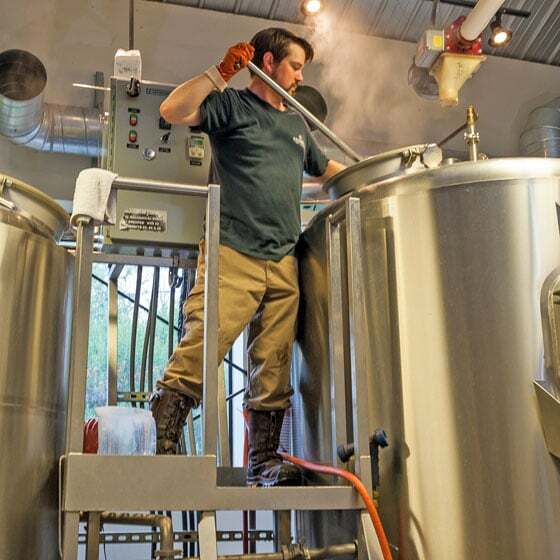 Russell Everett, Brewmaster/Co-Owner, was raised on the island and is a graduate of Bainbridge High, the University of Washington, and the University of Miami. Like many brewers, he started as a homebrewer and went pro. Russell says a great beer is about so many things. But suffice it to say, he likes a beer that’s done well: free of faults, well balanced, served right, and just what you’re looking for. And while his brewing philosophy is to always make it well, he’s not afraid to experiment. Case in point – the brewery’s Sandbox Series experimental beers. As an award-winning Brewmaster, he’s always enjoyed using new ingredients, trying out new brewing methods, and using new flavors. Russell is always perfecting the classic year round and seasonal beer styles that the brewery produces. At the same time, the brewery also makes some interesting one-off’s, barrel-aged beers, and sours. So keep an eye on what’s up next!